Our range of products include fully automatic interlocking brick machine, interlocking brick machine, multi material interlocking brick machine, multi-function interlocking brick machine, semi-automatic interlocking brick machine and chirag advanced technology interlocking brick machine. 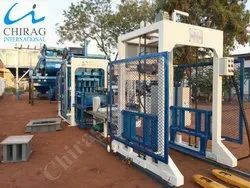 Chirag Advanced Technology Interlocking Brick Machine Our machines, with harmonic cooperation between mechanical, electrical and hydraulic machines functions, guarantees a reliable and high production output of concrete products. 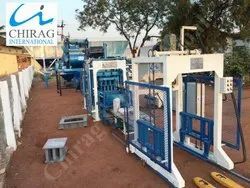 Chirag Modern Interlocking Brick Machine Our machines, with harmonic cooperation between mechanical, electrical and hydraulic machines functions, guarantees a reliable and high production output of concrete products. Chirag Mega Technology Interlocking Brick Machine Our machines, with harmonic cooperation between mechanical, electrical and hydraulic machines functions, guarantees a reliable and high production output of concrete products. 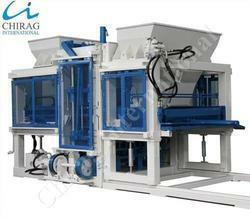 Chirag Multi Raw Material Interlocking Brick Machine Our machines, with harmonic cooperation between mechanical, electrical and hydraulic machines functions, guarantees a reliable and high production output of concrete products. Chirag High Quality Interlocking Brick Machine Our machines, with harmonic cooperation between mechanical, electrical and hydraulic machines functions, guarantees a reliable and high production output of concrete products. 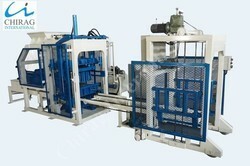 Looking for “Interlocking Brick Machine”?